My dear Supreme Lordship Purushotam, I request you know the significance of the saligram sila. Gandakyam Chotare Tire Girirajshchya Dakshine ! The mountains known as the Himalaya are situated on the bank of river Gandaki. In the south of this Himalaya a big and beautiful tract of land is situated where you can find saligrams sila. This is the place where Devi Dwarabati begins. This place is called by those who know, Sri Mukti Kshetra. Saligram Silas found here are very precious and significant. These silas are considered to be directly Lord Vishnu Himself and the person who worships or even keeps in the house or bathes the Salagram and drinks water or pour those waters on their head, that man becomes free from all sin and it prevents from untimely death. That person becomes free from all sin and all material disease. The most feared sin of Bramahatya ( killing of a Brahmin) is also washed away simply by worshiping the Saligram. That person who does snan (bathing) of saligram with chakra everyday get gets rid of all sin like Bramahatya, and if he drinks such water daily gets the equal boon of thousand of havan (fire sacrifices) of Lord Vishnu. 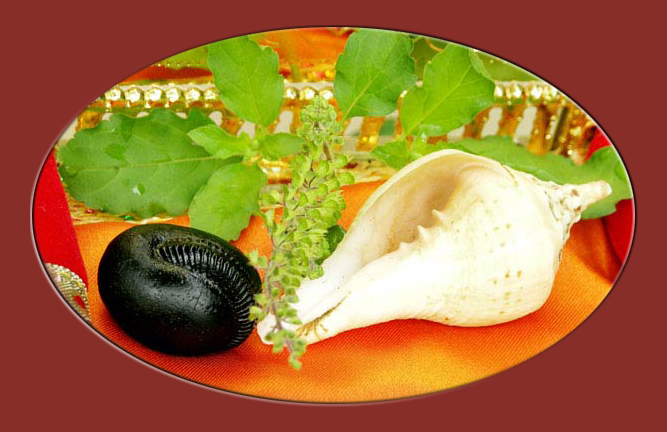 The person, who worships saligram with Tulsi leaf daily, gets the boon of million Yajna also. With out worship, with out offering any sweets or with out any pilgrims - only chanting this saligram mantra is enough to wash away all sins and is the fulfillment of all desire. There are various kinds of size and shape of saligram in which Lord Vishnu is situated representing all the different incarnations. Good Luck increases and one gets satisfaction from children, and in every way in every aspect, all good enters one's life by worshipping saligram black in colour with little chakras. A person who gets the chance to see the Vasudev sila, that person he became free from sins. Shreedhar, Sukar, Vamanadev, Harivarna,Varaha, Kurma and lots of other type of saligram are available also. Some Saligram has marking of cow's foot marks and some that of Narshimha Avatara (half lion half man). Yellowish Saligram is very auspicious as Lord Himself (Pitambara) but reddish saligram is considered to bring fearful situations and is dangerous to worship. The sacred symbols of Sankha (conch), Chakra (disc), Gada (club), Kurma (tortoise) are printed on the saligram stones. Saligram with Sankha (conch) sign is considered to be Vamanrup (Vamandev) of Lord Vishnu, where as chakra in the middle is consider as Damodar saligram. Saligrams of different shapes; round, umbrella shape which has white lines are also available; worshipping this kind of saligram gives wealth and reputation in society. Flat shaped saligram creates sorrow in a family and saligram with sharp front side creates war - fighting and tension in family. Saligrams which have chakra around the head or in the forehead and rest parts are clean and smooth is considered very auspicious and this type is to be considered as Vamandev sila. 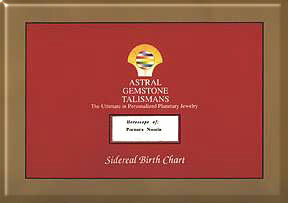 Yellowish or black in left side with a chakra is consider as Laxmi Narshimha sila. Worshipping a long shape sila create poverty, and saligram having lagna (rising) chakra create long term chronic diseases even death. Any person who offers a Tulasi leaf while worshipping the saligram gets salvation and can stay at Vaikuntha (the place where Vishnu live - means free from anxiety) for million years. Therefore always worship saligram, and chant saligram stotra which is very beneficial for mankind. We can get one a higher position on Vishnu Lok (Vaikuntha) simply by doing so. All sins will also be destroyed and it is guaranteed that one gets to Vishnulok simply from this process of worshiping the saligram. There are various types of description available for Lord Vishnus ten primary incarnation therefore the Lords incarnation Shree Saligrams worship, the Prayer to the Saligram and drinking the Lord's bathing water wash away sins of million lives and one gets great prosperity, wealth and reputation through this, so everyone everywhere the Saligram should be worshiped. Iti Shree Vishotara Purane Shree Saligram Sila-stotram Sumpurnam! !..